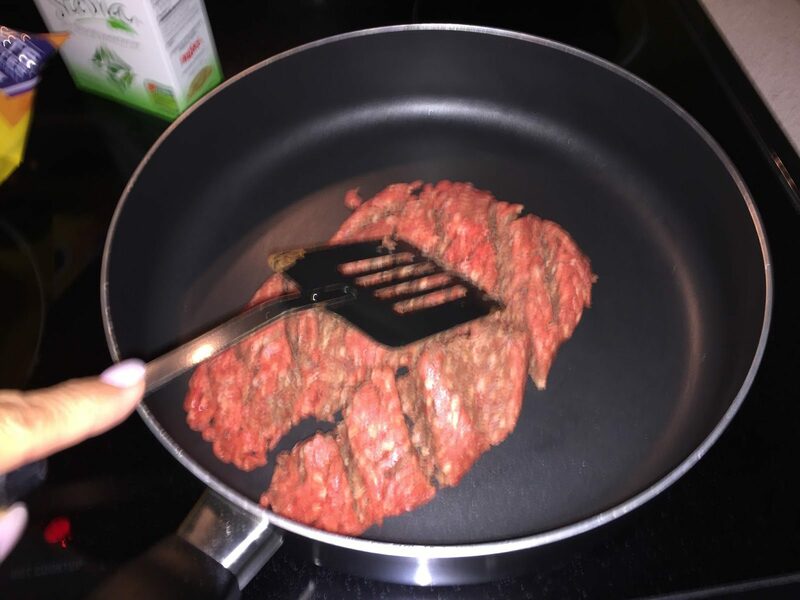 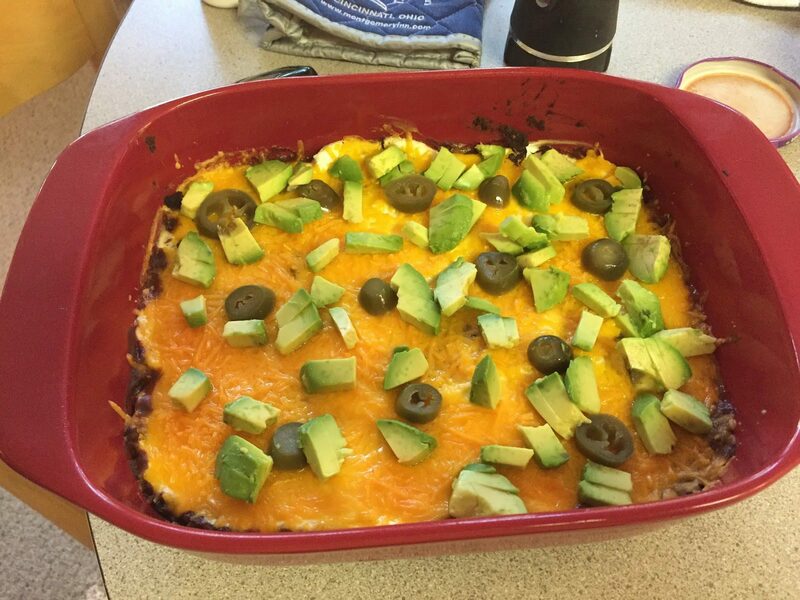 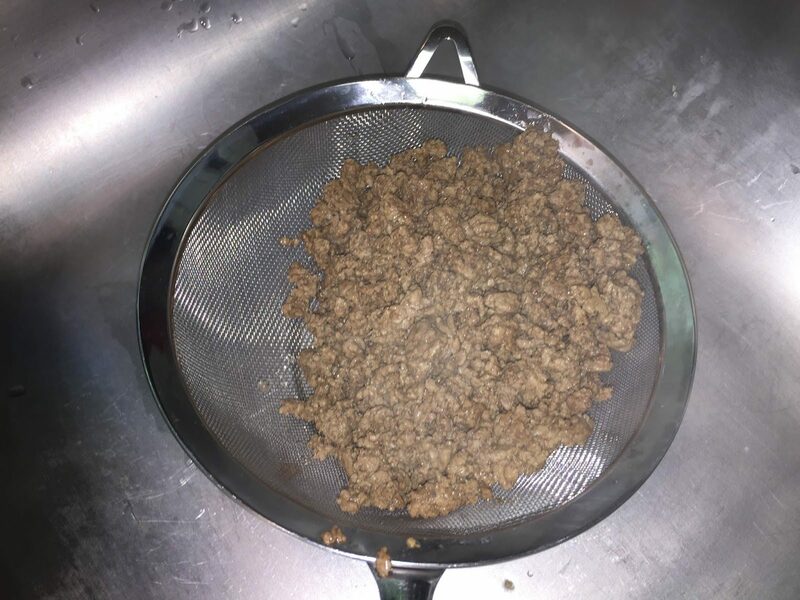 Preheat oven to 350 degrees F. In a skillet, brown the ground beef over medium heat, drain. 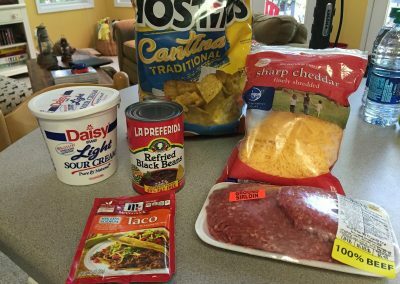 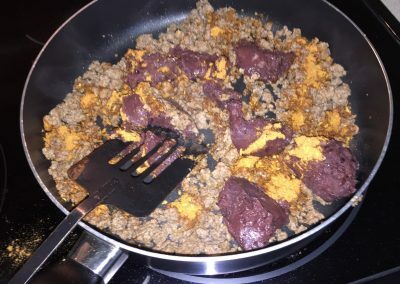 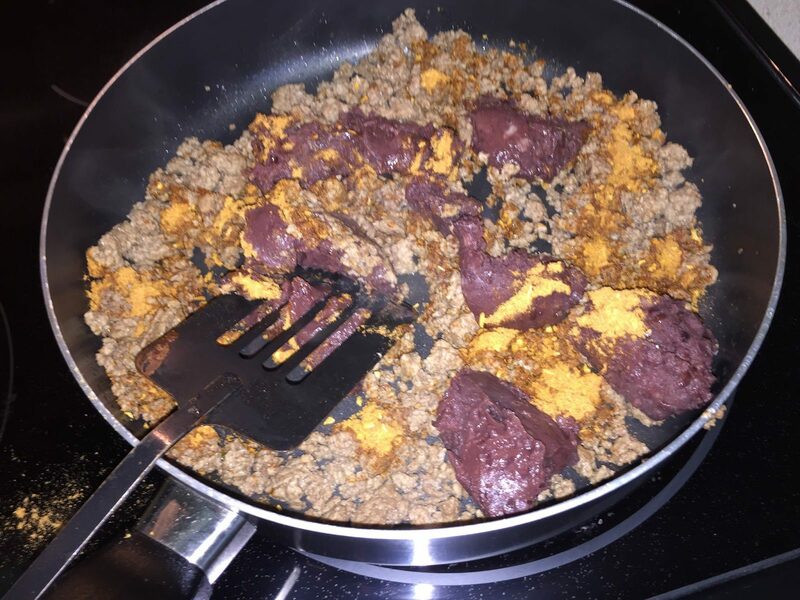 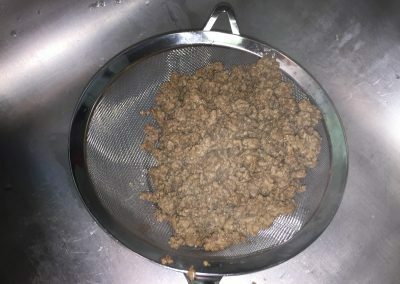 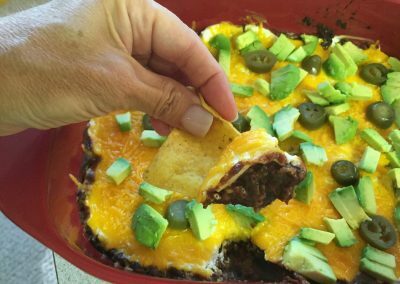 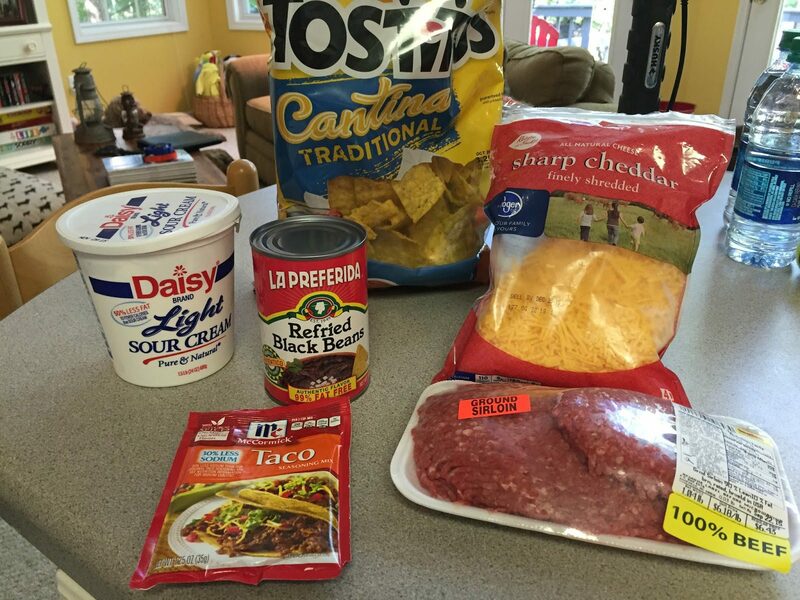 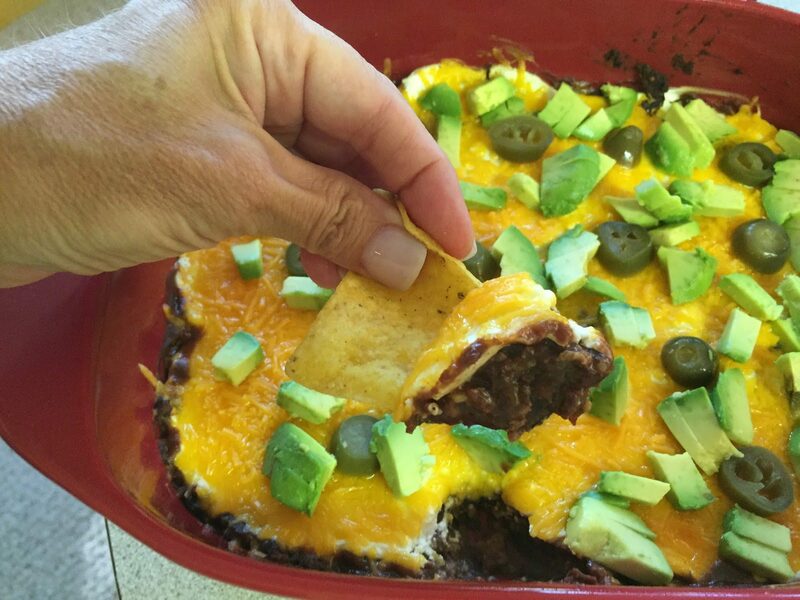 Mix beans, cooked ground beef and taco seasoning. 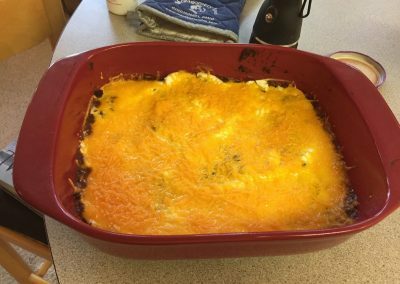 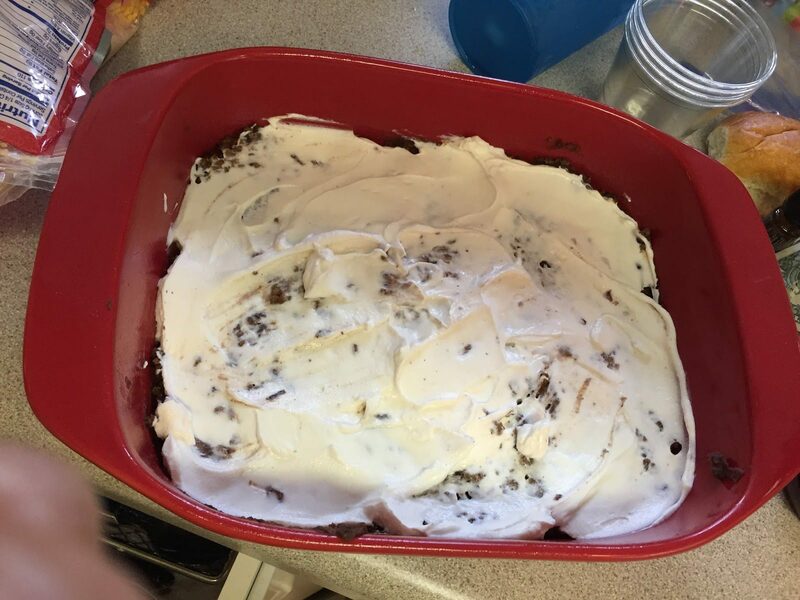 Spread bean mixture in the bottom of a 9x13-inch baking dish, and then spread the sour cream on top of the beans. 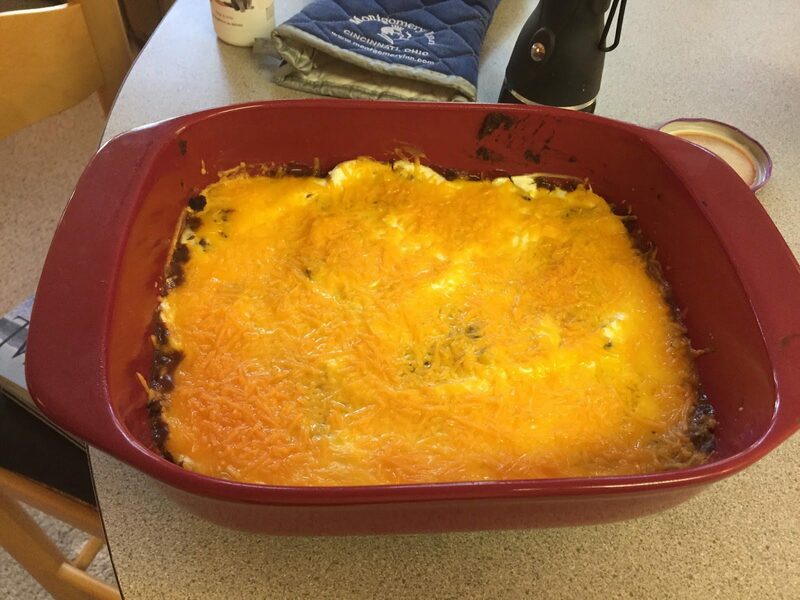 Finally, top with cheese. 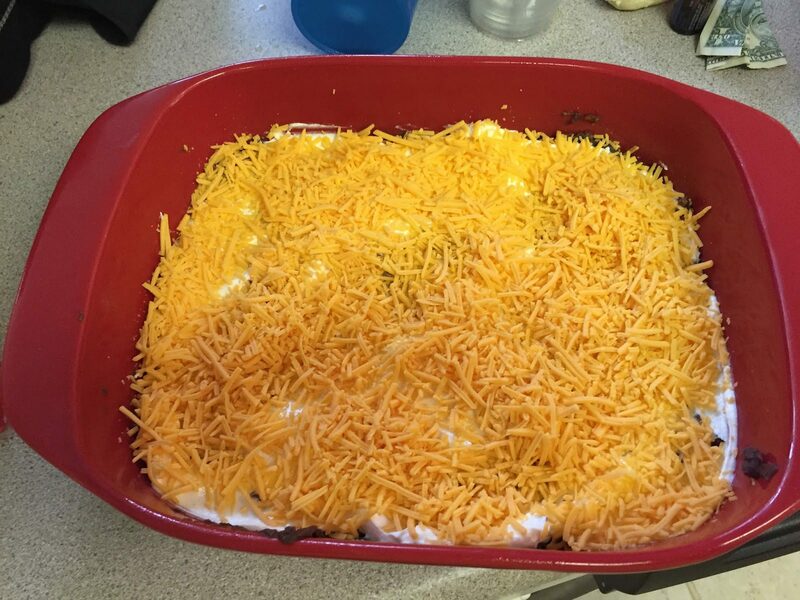 Bake at 350 degrees F for 25-30 minutes (until cheese is bubbly). Garnish, if desired.